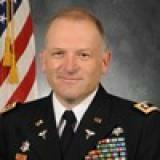 Lieutenant Colonel (LTC) Christopher Todd currently serves as the Product Manager, Medical Simulation at the US Army's Program Executive Office for Simulation, Training, and Instrumentation (PEO STRI). As both amember of the Army Acquisition Corps and the Medical Service Corps, LTC Todd has served in a number of positions within the Medical Acquisition community. LTC Todd is DAWIA Level III Certified in both Program Management and Contracting.